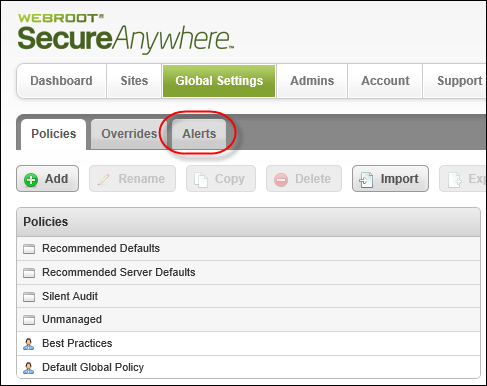 From the Alerts tab, you can create a distribution list of users who will receive alert messages. For example, you might want to create a list of administrators who need to respond to threat detections at a remote office. From the main GSM console, click the Global Settings tab. Click the Distribution Lists tab. 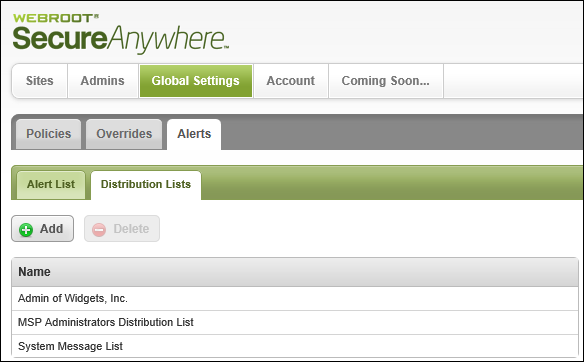 The Distribution Lists panel displays. The Create Distribution List Window displays.